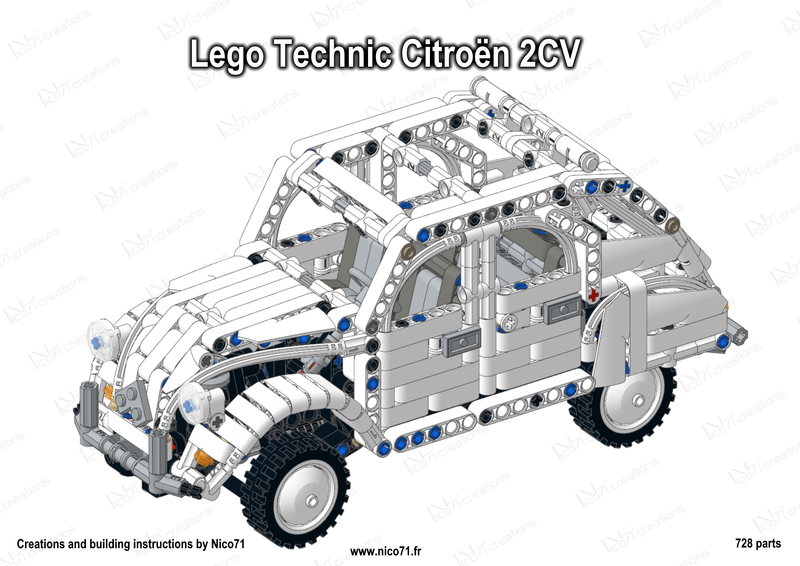 A reproduction in Lego Technic of the Citroen 2CV. 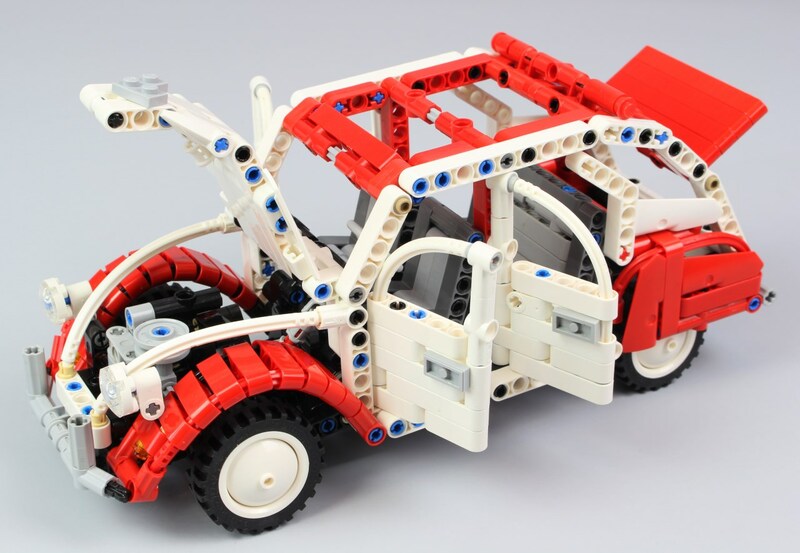 With independent suspensions, steering with steering wheel and removable HOG (hand of god) placed at the rear, opening hood, trunk and doors, with detailed engine and interior. Here is the plain white version. There are other colored versions available, please check my profile for other colors. 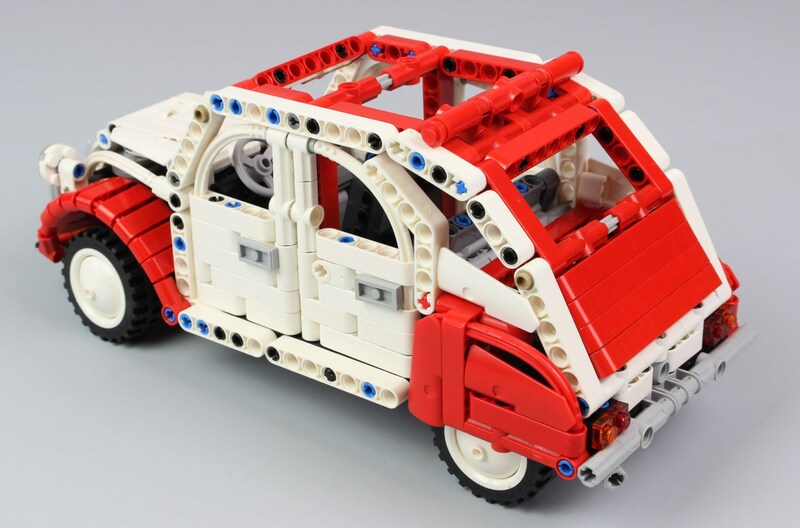 Please note that the first picture of this page is the picture of the version for sale, the two other are from the dolly White and Red to show you the rear and the functions. The package included the parts and the building instructions in PDF.